Two major developments in the Triton/Prey saga tonight—and you thought it was over. Prey has begun Pre-loading on Triton. How has the service progressed in its final few months? DiStream have provided a partial but official list of Triton titles. Triton, DiStream’s competing distribution service and ‘Your ticket to the fast lane’, has seen twelve new games added to its official website. 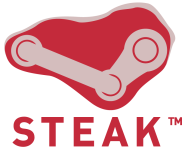 Attentive reader Sarkie has spotted the new brand name and website for DiStream’s Steam competitor, formerly known as Game xStream, suggesting that it is finally nearing launch.